Home Shop NewsKick off the holidays with fresh ink! Kick off the holidays with fresh ink! Happy Thanksgiving. Last night we prepared a bird of a different sort, and I’m pretty happy with the results. 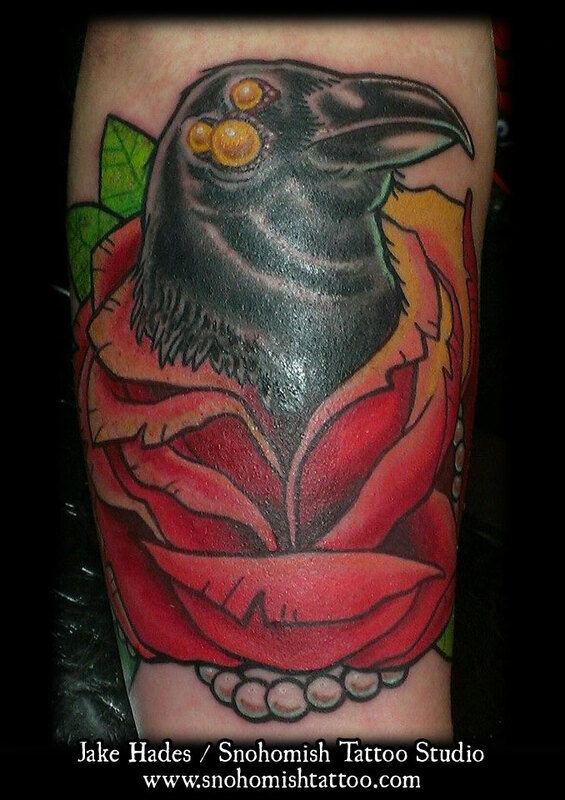 Thanks to Nate for sitting through this piece and letting me run with the design. Previous Previous post: $20 Halloween Tattoos, now through Saturday! Next Next post: Snohomish Tattoo Studio – Three years and going!